This is the simplest and quickest way to reduce the heat you may feel on your legs. 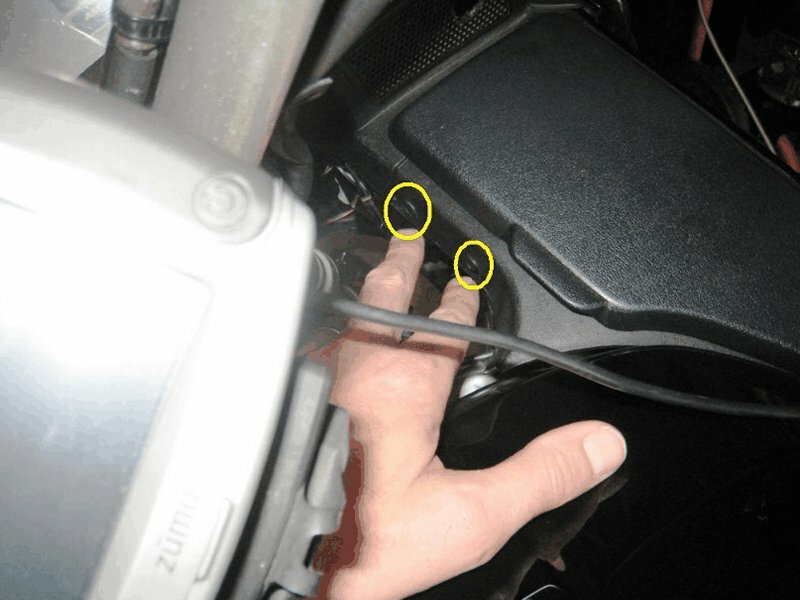 If the exiting of engine heat from the sides of the fairing don't bother you, you still may want to read this. The heat I feel coming off the sides of the faring is most noticeable when the outside air is around 75-90 degrees Fahrenheit. The basic design of the cowling is to pull and control the air on the front of the bike so that it is funneled through the radiator. The problem arises when the air, which just went through the 200 degree+ radiator, continues through the radiator and then is somehow suppose to assist in cooling off the engine. 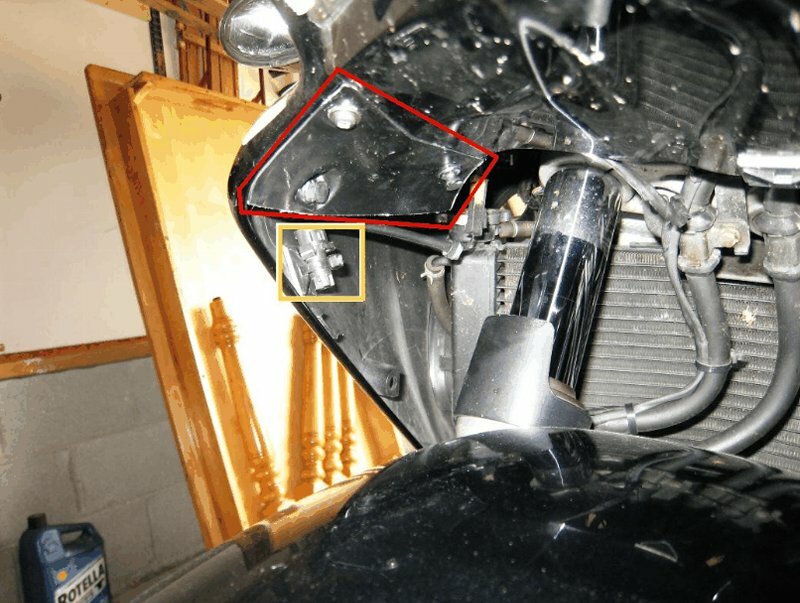 Since the bike is water cooled, I have decided that Honda never intended the incoming air to cool any thing other than the radiator. Therefore the water cooling will take care of the engine. 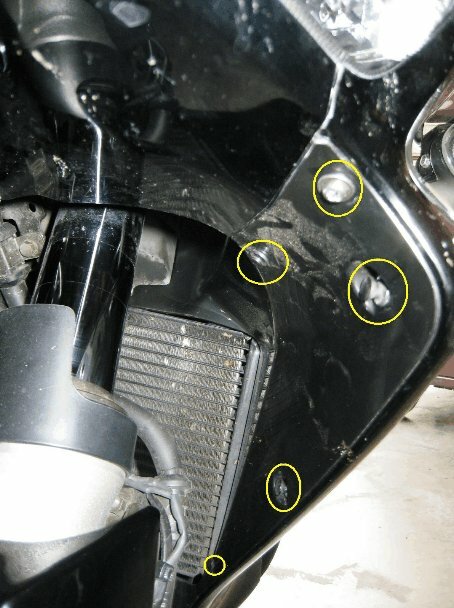 So since all that nice hot air is being jammed inside the engine compartment, the exiting of that air through the side cut outs on the fairing rolls out on your legs. I think the air comes in faster than it exits when you are riding. I could be nuts but lets move on. So if we add additional air intake paths to the engine, we should have cooler results overall. The easiest way is to remove the two inner cowls. It is really easy to do. The first thing to do is remove the 2 center push plastic rivets from the top sides of the 2 storage compartments. Simply push the centers of these plastics pin gently. They should move 1/16th of an inch or so. Next, work your fingernails under the edges and pull them out. They should come out easily if you have pushed the centers in enough. Looking under front of the fairing, you will need to remove four more plastic rivets and 1 screw per side. Once you remove the front right side, move to the left side. The picture has yellow circles which indicate what you need to remove. 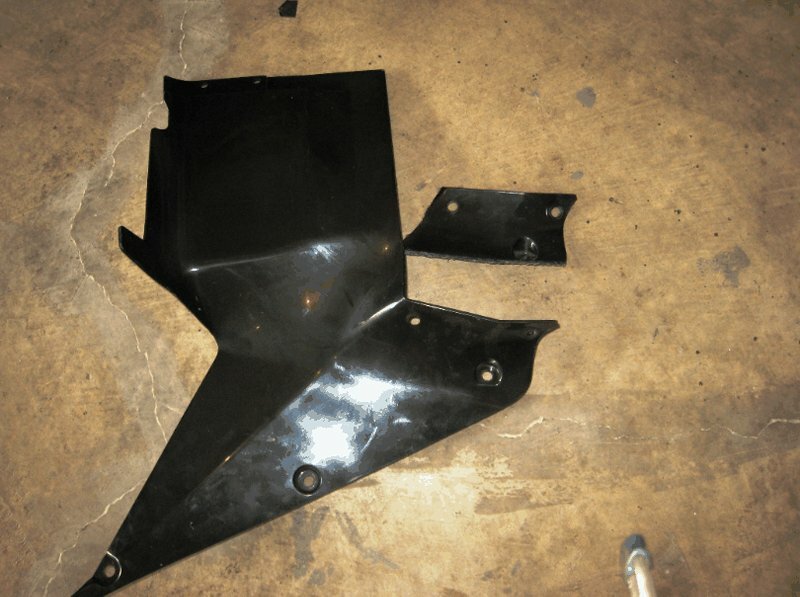 When you pulling the cowl out, watch out for the radiator fins as they are way too easy to hit and damage. The left side comes off the same as the other. Be aware the air temperature sensor is incorporated into this side. You will need to partially remove the cowling so that you can remove 1 screw which retains the sensor. 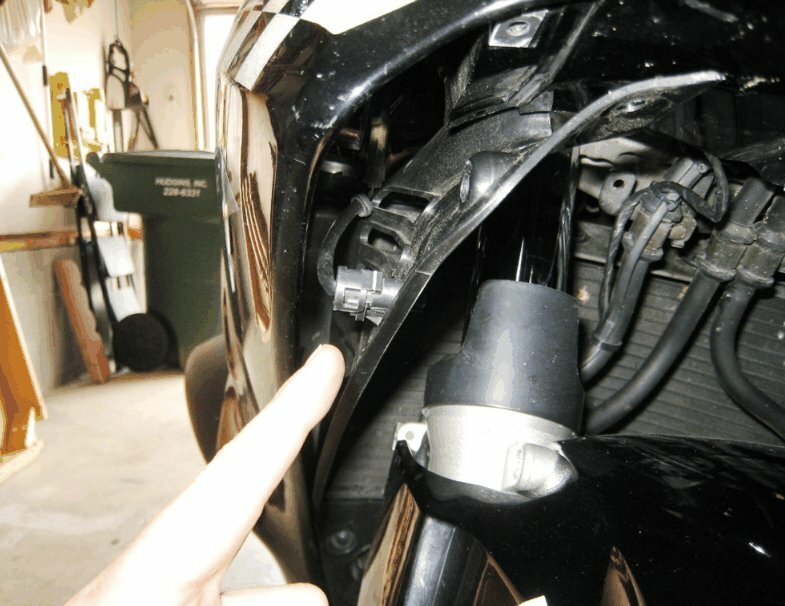 The finger points to the sensor. The yellow square in the picture below shows the new location of the sensor. I used a tie anchor and a tie wrap. The red square is the mounted piece of cowling from the picture below. I wanted the added bracing, or at least a portion of the support the inner cowling provided to the fairing, so I cut out the corner of the inner cowl for this purpose. This gives me three mounting points. This is optional as I really don't think it makes a big difference other than you will have to buy replacement units at some point. Now as a side benefit of this easy mod, I have noticed that the bike handling has improved. I have noticed that crosswinds don't seem to make the bike dive into the wind like it use to. I also feel that some of the effects of turbulence you experience around trucks , SUV and square shaped camping trailers is reduced. The bike feels less jittery under these conditions as compared to with the cowlings installed. Since more air is able to move though the fairing, incoming air is not trapped inside the fairing for as long and exits quicker. 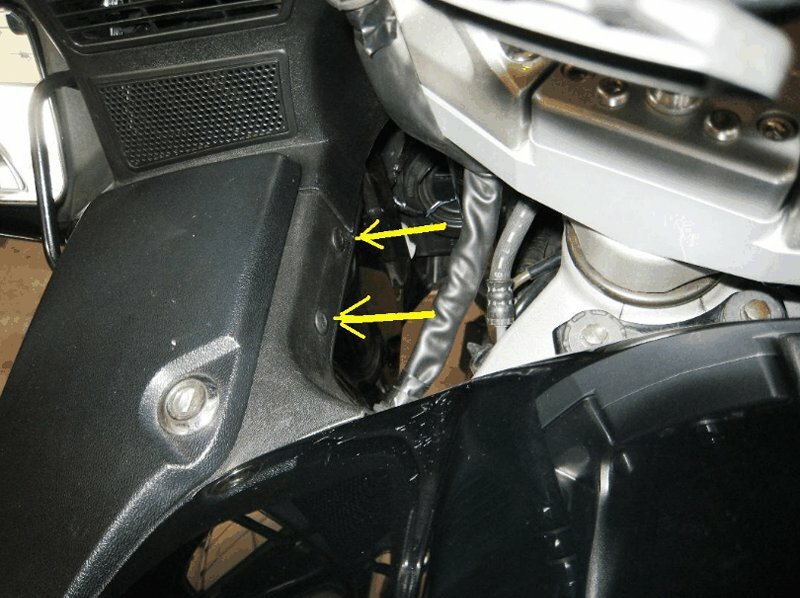 I also think the additional airflow which does not directly pass through the radiator helps dissipate the heat which builds up under the gas tank and seat. The good thing about this mod is that you can put the cowlings back in during colder weather.